Sunghae Anna Lim has performed extensively throughout the United States, Central America, Europe and Japan. She is a founding member of the Laurel Trio and, as violinist of the New Millennium Ensemble, Ms. Lim won the Naumburg Chamber Music Award and gave a debut recital at Alice Tully Hall at Lincoln Center. She is actively involved in contemporary music, premiering and recording numerous works by living composers. Recent highlights include the premier performance of the Second Violin sonata by the late Donald Martino and a recording of Alexander Steinert’s violin sonata of 1921. She has worked with conductor Robert Craft to record chamber works of Webern for the Naxos label. As an active recitalist, he has been featured on the Boston Celebrity Series, Mohawk Trail Concerts, Electric Earth Concerts, and Longy School of Music’s Modern American Music Concert Series’. As featured soloist with orchestra, Mr. Eng has performed with the Hart House Orchestra of Toronto, Cornell Symphony Orchestra, and the Lyrica Chamber Orchestra. As a chamber musician, Mr. Eng has collaborated with world-renowned artists including Elmar Oliveira, Eugene Drucker, Terry King, and Victor Rosenbaum. He has made festival appearances at Spoleto, Orford, Domaine Forget, Killington, the Scotia Festival, the Quartet Program at Bucknell University, and the St. Lawrence String Quartet Seminar at Stanford University. He has performed and taught in Bermuda, China, France, Germany, Greece, Japan, and all over North America. In 1998, Andrew received his A.R.C.T. Performer’s diploma from the Royal Conservatory in Toronto, Canada, and then in 2003 and 2005 respectively received his Undergraduate Diploma in Performance and Master of Music in Modern American Music at the Longy School of Music as a student of Laura Bossert. Israeli musician Michal Schmidt has been a double major instrumentalist throughout her career. Her early musical training took place in Israel at the Rubin Academy of Music/ Tel Aviv University and the Royal Academy of Music in London England. There, she was the only student in the history of the school to receive Artist Diplomas for two instruments in one year. In the US, Michal studied at the Curtis Institute of Music and at the University of the Arts (Masters Degree). She earned her Doctorate of Musical Arts at Temple University. Ms.Schmidt won numerous awards and scholarships in both piano and cello including stipends from the American-Israeli Cultural Foundation and the Israeli Arts Council; she received the Harold Samuels and Tobias Matthay piano awards of the Royal Academy of Music and more. She currently teaches in the Philadelphia area; at Haverford and Bryn Mawr colleges as well as at the University of Pennsylvania. She is a member of the Philadelphia Network of New Music, the Hildegard Chamber Players as well as Trio Camille and Piano4. Michal has established a yearly recital series named TRIBUTE with the goal of performing solo and chamber music being written now. Many of the works are by composers with whom she has collaborated closely. Among those represented in the series are Osvaldo Golijov, Richard Wernick, Margaret Garwood, Jay Reise and Sylvia Glickman. Michal spent numerous summers teaching at NEMC and recently joined the faculty of SummerTrios in Pennsylvania and the Lakeside Chamber Music Workshop in Illinois. 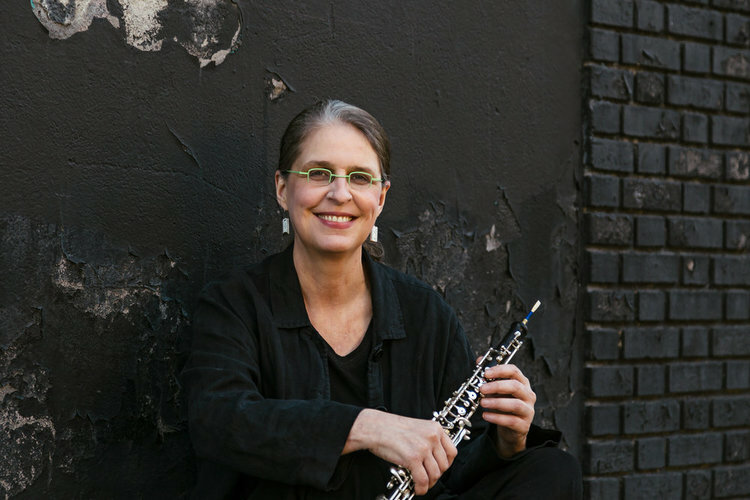 Oboist, Jacqueline Leclair, is Associate Professor of Oboe, Woodwind Area Chair, and Associate Dean of Academic and Student Affairs at the Schulich School of Music. She is a member of the ensembles Signal and Sequitur, and can frequently be heard performing solo and chamber music concerts internationally. Dr. Leclair was on the faculty of the Manhattan School of Music (NYC) and was Assistant Professor of Oboe at Bowling Green State University (Ohio) 2007-2012. During her last two years at BGSU she also served as the Director of the MidAmerican Center for Contemporary Music. Summer festivals for which Dr. Leclair has served as faculty and/or performer include the Lincoln Center Festival (NYC), Chamber Music Conference at Bennington College (VT), June In Buffalo (NY), Chamber Music Festival of Aguascalientes (Mexico), East/West Festival (Kazan, Tatarstan), and the Sebago Music Festival (ME) among others. In addition to performing a variety of classical and other musics, Dr. Leclair specializes in the study and performance of new music. She has premiered many works, and regularly presents classes in contemporary music and its techniques at schools such as UCLA, the Eastman School of Music, Brigham Young University, The North Carolina School for the Arts, and the University of California in San Diego. Dr. Leclair has recorded for Nonesuch, CRI, Koch, Neuma, Deutsche Grammophon and CBS Masterworks, receiving critical acclaim in particular for her premiere recording of Roger Reynolds’ Summer Island. She is the editor of Universal Edition’s Sequenza VIIa by Luciano Berio. And her recently published, and already acclaimed book about the oboe is: Oboe Secrets: 75 Performance Strategies for the Advanced Oboist and English Horn Player. Originally from Syracuse NY, Dr. Leclair presently resides in Old Montreal, Quebec. Her musical studies were at the Eastman School of Music and SUNY Stony Brook where her oboe mentors were Richard Killmer and Ronald Roseman. Pianist Sara Laimon is an active performer in both solo and chamber music. She has performed in Canada, the United States, England, France, Italy, Japan, Mexico, and Poland, and has represented the U.S. Information Agency as an Artistic Ambassador in India and Nepal. Sara is founding member and co-artistic director of the acclaimed New York based group Sequitur, former pianist for Ensemble Contemporain de Montreal, and has been guest artist with numerous other ensembles and festivals. Ms. Laimon has recorded for Albany Records, Capstone Records, CRI, Disques XXI/21, MODE records, and North/South Recordings. Her most recent CD (on Disques XXI/21) features the Horn Trios of Brahms and Ligeti with colleagues Jonathan Crow and John Zirbel. She is a frequent performer on CBC and has also been heard on radio broadcasts from summer performances at Marlboro, Tanglewood and Banff. Local audiences will be familiar with her performances on the CCA series, CBC/McGill and the Ottawa Chamber Music Festival. Current and former students of Ms. Laimon have been successful in competitions such as the Montreal Symphony Orchestra, Prix d’Europe, Canadian Music Competitions, National Music Festival, and many are now teaching at Universities in Canada and the United States. Born in Vancouver, Sara is a graduate of the Vancouver Academy of Music, the University of British Columbia, Yale School of Music and SUNY Stony Brook where she received a DMA under Gilbert Kalish. Ms. Laimon was a member of the piano faculty at the Yale School of Music (1990-2000) and the University of Manitoba in Winnipeg (2000-2001) before joining the Schulich School of Music at McGill University in 2001. She has previously served as Piano Area Chair, Associate Dean, Academic and Student Affairs, and as Resident Faculty Fellow with IPLAI (the Institute for Public Life of Arts and Ideas). Currently she is Director of the McGill Conservatory of Music. She lives in Montreal with her husband and two children.